The best ways for commercial buildings to be made more green and energy efficient | Curchod & Co. There are more reasons now than ever for building owners and landlords to be considering the sustainability of their buildings. A greener building is not just important for the planet, but it increasingly has an impact on the value of the building. Most high quality, corporate tenants now do expect their premises to be energy efficient and green. In addition, as legislation continues to focus on sustainability, it is vital that building owners and tenants alike keep their commercial buildings within current legislation. So, whether an office or an industrial unit, retail space or warehouse, how and why should you be making that space more green? For landlords and managing agents who manage the supply of energy to buildings, they should consider the source of energy being supplied. Property managers such as Curchod & Co oversee the utility management of their clients’ buildings and strive to source the most sustainable energy suppliers at the most affordable prices. 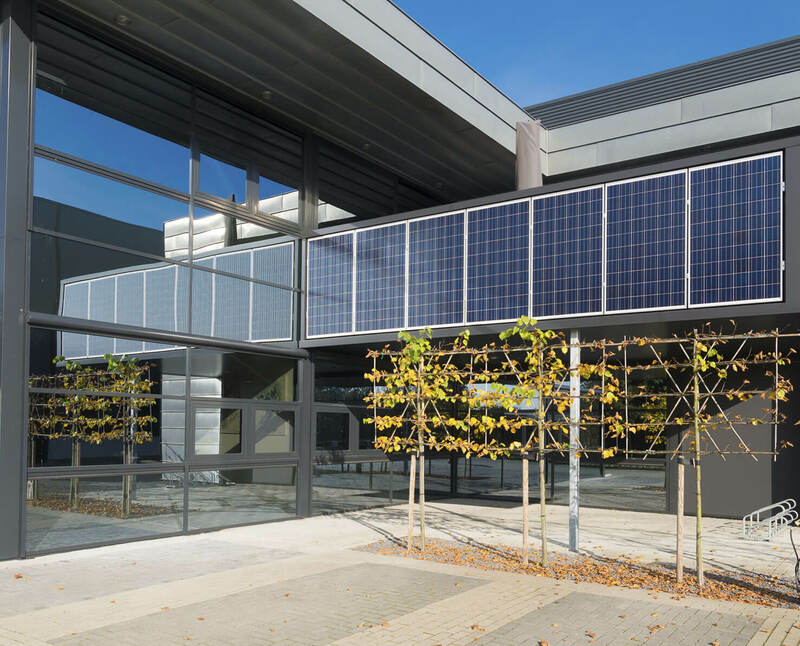 For larger spaces such as HQ office buildings and warehouse distribution sheds, solar energy panels are a spectacular investment to immediately make your building more efficient and sustainable. How energy is monitored across a building can significantly improve the efficiency of that building. Installing intelligent controls for heating and cooling can ensure that no energy is wasted. These systems support the steps that a landlord may have taken to increase the insulation of their building. Especially prudent for industrial and warehouse buildings, where temperature may be vital to a production process, investing in the technology to control this aspect of a building will make it greener. Within commercial buildings, occupiers will undoubtedly utilise both natural and artificial light. Many high profile corporate occupiers, such as the McLaren Group in Woking, have installed LED lighting across their buildings. This simple step decreases energy consumption, and as the lifespan of LED bulbs is longer than their traditional counterparts, waste is decreased too. It’s important for building owners and landlords to maximise the natural light available in commercial space to increase its appeal to high quality tenants. So, for those refurbishing a commercial property, increasing the number of (well insulated) windows, and structuring an internal office layout to maximise natural light will support energy efficiency and commercial value. The appearance, and surroundings, of a commercial building carry both practical and conceptual benefits. For commercial new builds and major developments, features such as rooftop planting or the development of natural habitats such as those installed in the groundbreaking WWF HQ in Woking, counteract the carbon footprint of an organisation. As important financially as it is ecologically, these features increase the desirability of a property for higher profile tenants who are likely to be long term occupants in a commercial building. It can be daunting to decide, as a landlord or building owner/occupier, which steps will work best for your building to make it more efficient and sustainable. This is why, for new developments and existing buildings alike, the advice from an experienced commercial property manager is so advisable. At Curchod & Co, we benefit from the wide breadth of knowledge, experience and contacts, to support our clients in their journey to become more green.